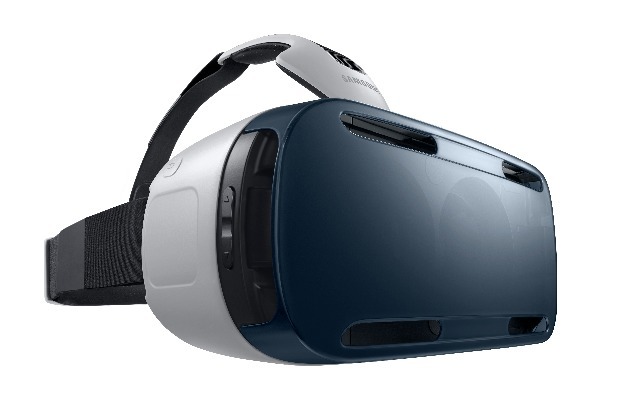 Samsung has unveiled the Gear VR, a mobile virtual reality headset created with Facebook-owned Oculus. It also unveiled the much-rumoured Galaxy Edge smartphone, which features a display that curves over one side of the phone, forming two screens. Both devices launched alongside the latest Galaxy Note 4 phone-tablet hybrid at the IFA tech trade show in Berlin, as Samsung looks to innovate in new categories beyond smartphones. The virtual reality headset, called the Gear VR Innovator Edition, effectively acts as an accessory to the new Galaxy Note 4. Users can strap the phone into the headset and experience a range of custom virtual reality apps from Samsung's partners, including Cirque du Soleil and music video service Vevo. The concept is similar to Google Cardboard, a no-frills box that straps onto a user's phone to turn it into a virtual reality headset. Samsung said it was on the hunt for more content for the Gear VR, opening a possible avenue for brands to provide virtual reality experiences. "I believe a lot of developers and content providers will be very much encouraged to join this exciting momentum," said Samsung marketing boss DJ Lee. "With the Gear S [smartwatch] and Gear VR, your mobile experience in our daily life will never be the same." Oculus CTO John Carmack decribed the Gear VR as a "landmark first step" and revealed his company started work on the headset a year ago. In an additional statement on its site, Oculus said the idea had originally been an experiment in mobile virtual reality, and that the current Gear VR was simply a "beta version", rather than a finished product. Oculus announced the second iteration of its own Oculus Rift headset last month. The Gear VR will be available in selected markets later this year. Samsung is also pioneering curved smartphone displays with the Galaxy Note Edge, 5.6in device that features a secondary screen along one edge. That screen can act independently of the main display, showing frequently used apps and notifications. Analysts suggested the curved screen could be a way for Samsung to differentiate as more manufacturers produced oversized phones - a category the company itself pioneered. "For Samsung to gain maximum differentiation from the Galaxy Note Edge curved display, it will need third-party app support," noted IHS analyst Ian Fogg. 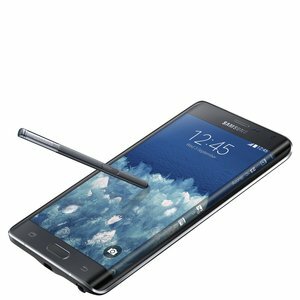 "Samsung needs [Galaxy] Note 4 and its innovative sibling to be hits as rivals pile on pressure and smartphones encroach on phablets," added CCS Insight analyst Ben Wood. The news comes just a week before Apple is due to announce upcoming products at its own media event.